Start and Finish: Woodstock Public Car Park GR 445168 Postcode OX20 1JQ. Parking is free of charge & toilet available (at a charge of 20 pence). A wonderful walk around the outskirts of Woodstock and through the grounds of Blenheim Palace. Some mud on early section, but most of the walk is on tarmac paths through the Blenheim Estate. There are several very pleasant pubs and cafes in Woodstock. Difficulty: Leisurely – 8.5 miles: For those walkers wishing to do a shorter walk (5.5 miles), it is possible to bypass the Palace and take a shorter route into Woodstock. Contact walk leader for details. Leader: Seamus Ryan M: 07785 508804 E: seamus.ryan2@btinternet.com . Waypoints: Start : Hensington then Banbury Road to The Retreat GR 455172 – follow field path to Jn GR 457172 – Rd Xing GR 455176 – Sansoms Farm GR 450190 – Rd Xing GR 435185 – Path Jn GR 417178 – Path Jn GR 423175 – Path Jn GR 424175 – Path Jn GR 426174 – Park Farm GR 425170 – Track Jn GR 428167 – Track Jn by Coombe Lodge GR 426158 – Bladon Bridge GR 445153 – Track Jn GR 450157 – Track Jn GR 444164 Park Gate GR 447166 – through town to Finish. Getting there from Aylesbury – (Approx 30 miles): Take A41 to Bicester, then A34 towards Oxford. 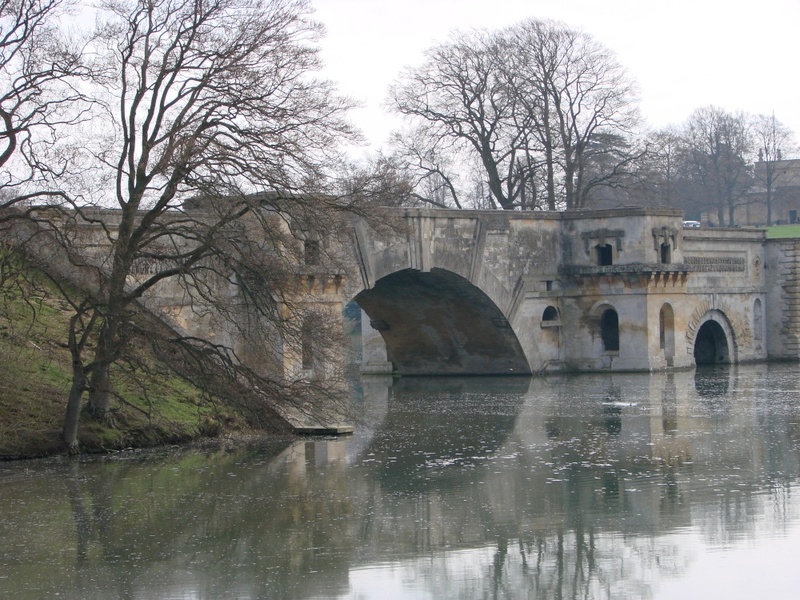 Just past Kidlington look out for signs to Blenheim Palace & Woodstock and follow A44 under Oxford bypass to Woodstock. Approx 1 mile after roundabout with A4095 in town centre turn right into narrow Hensington Road. After Fire Station and by Library, turn left into car park. Getting There from Oxford : (Approx 10 miles): Follow Woodstock Road A44 under Oxford bypass to Woodstock. Approx 1 mile after roundabout with A4095 in town centre turn right into narrow Hensington Road. After Fire Station and by Library, turn left into car park.